When you marry someone in public safety, one of the quickest thing you need to learn is flexibility. Holidays, anniversaries and birthdays may be celebrated on completely different days than they actually fall on, because someone in public safety has shifts that fall when they fall, regardless of the special days they might fall upon, and their services are necessary 365 days a year. If you can’t handle that, don’t marry someone in that field of work. It is the least of my gripes with being married to someone in public safety, honestly, because I wasn’t raised with holidays being a big deal (we didn’t celebrate Christmas at all), but it’s a huge issue for a lot of families. on our tree, read our children this kind of book Firefighter’s Night Before Christmas , and you’re likely to get something like this Firemen to the Rescue Christmas Cards from us in the mail. He works 24 hour shifts, often pulling 48s between two different fire departments. This year he won’t be home from a 48 hour shift until probably 10am Christmas Eve, and has to be back early Christmas morning, so those days just don’t work for us to celebrate Christmas on. Our Christmas is officially December 26, when he actually can get home early enough to enjoy the sleepy eyed wonderment of our munchkins. So….today is Christmas in this firefighter household. Merry Christmas and God bless from our family to yours, especially those who are also shifting those holidays around for similar reasons! Any other firefighter families out there? Need gift ideas for your active guy? Look at my budget friendly gifts for active men! 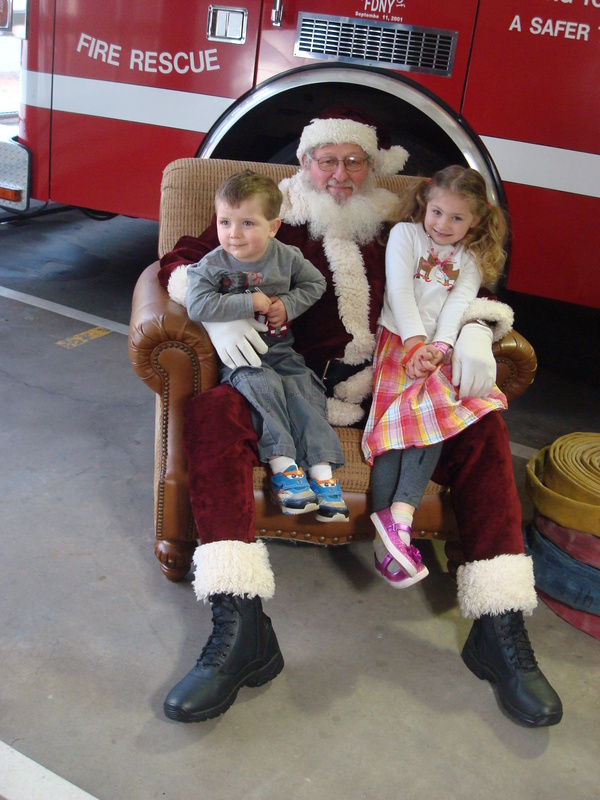 Categories: Living Life | Tags: celebrate, Christmas, family, firefighter, first responder, holidays, love, military, paramedic, police, public safety, Santa | Permalink. You can celebrate Christmas whenever you can! My friend’s husband is a police officer, so he always has to work on Christmas. It’s great that your husband and others make that sacrifice to protect others. The date really isn’t that important when you think about it. We have a good friend who is also a firefighter paramedic and I’m constantly in awe at the things he does. It must be one of the most emotionally rewarding, yet emotionally difficult jobs out there. Thank you to him for serving and to you and your kids for your sacrifice. I hope you had a great Christmas! You are so right. It takes a toll, but he feel strongly about what he does to help people. Thank you! We did! Hope y’all did, too.